Nikon cameras come with a cheap thick plastic LCD screen protector that easily scratches, scuffs, and just looks ugly. When it scuffs enough, it becomes cloudy and makes it worse than nothing. 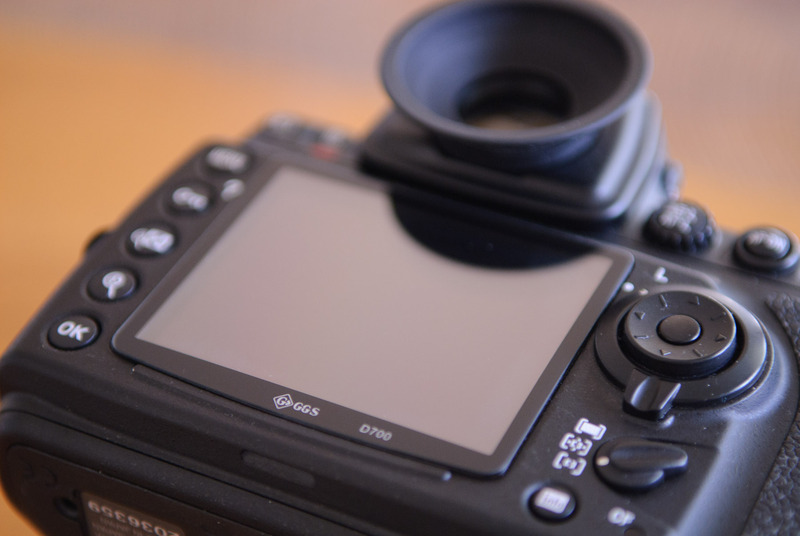 So a couple of years ago, I bought a GGS brand glass protector for my Nikon D200, and loved it. Along with a Katz Eye focus screen, they're the two must-have aftermarket changes to a new camera body. When I got a D700, I immediately bought the same protector for it, and loved its clean looks and superior protection as before. 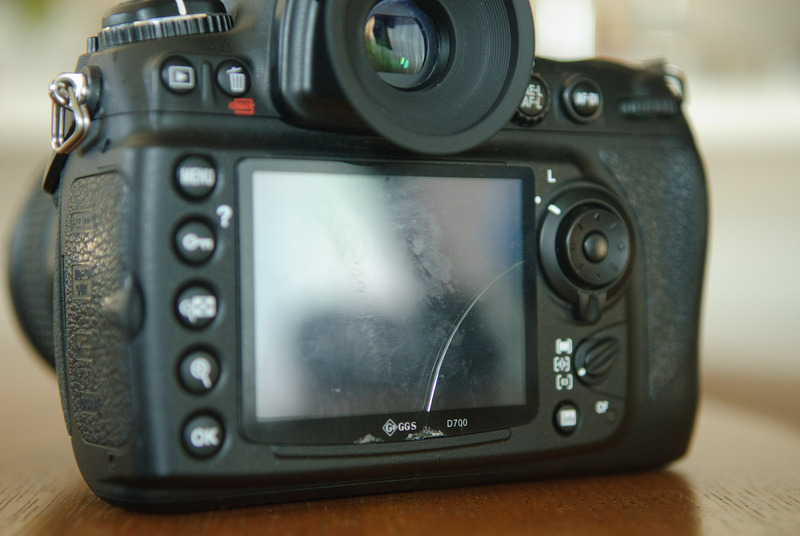 A year later, my appreciation grew when I'd left the camera under a chair in a room frequented by a number of toddlers, and came back to find the protector cracked, but the underlying screen still in perfect condition. Here's an article giving more details. They're made for a lot of specific cameras (including Nikon, Canon, Panasonic, Pentax, Sony, Olympus, Leica), and a number of generic sizes for point-n-shoots. GGS glass screen protectors: highly recommended. And now about where I buy them: I buy them from the GreenLife Style store on eBay, where I've bought a number of things over the years. They're an eBay store with a stellar rating (positive feedback of 99.2%, though my personal experience has been 100% positive). I've been meaning to write about them for two years; that I'm doing it now illustrates how far behind on stuff I am. Two years ago I posted about a Surreal (and exceedingly unpleasant) PayPal Experience where PayPal had approved a payment from me to a merchant, the merchant replied “got your payment; we'll ship your order soon”, and then half an hour later PayPal “un-approved” the payment and locked my account. Anyway, it took a week for me to get the PayPal situation cleared up (and ended up getting an apologetic phone call from an executive at PayPal), but throughout the ordeal, the merchant, GreenLife Style, was 100% reasonable. All emails were answered within minutes, by a human. They were extremely accommodating to the situation, and they worked with me to get around the issue. Due to the PayPal silliness, at one point they had been paid twice for the same order, and immediately refunded the overpayment. PayPal wasted a lot of their time during this ordeal, but they were always cheerful and professional. I've bought a bunch of small things from them over time... the screen protectors, Nikon MC-36 SLR remote-control knockoff ($30 instead of $150, and works just perfectly), rubber eyecups, etc. They're an eBay store so they present their products in the form of auctions, and sometimes there are multiple auctions for the same product, with different prices (sometimes in different currencies), so if you want to buy from them, use their store's search feature and pick the result with the lowest price. GreenLife Style's eBay Store: highly recommended. That reminds me to replace my cracked glass protector too. Does the rubber cup has any kind of magnifying lens, or is it indeed just a rubber cup? BTW, you do you wear glasses while shooting (often)? They’re simple to install and inexpensive. I don’t use one on my Nikon D40. The D40 already has a cover over the LCD, and supposedly it is easily replaceable for ~$20. You use a suction cup to remove the scratched one and stick on the replacement part. In case you’re not aware, there’s a new version of this screen protector (Ver III) where you won’t need to stick the glass on anymore. Your top LCD also needs the protector. I just replaced a completely smashed one that saved the LCD 99%; only one small scratch got through. Thanks for the tip Jeffrey. I’ve just installed a GGS protector on my D90 and it looks so much better than the included plastic protector. Very impressive. How can I contact GGS itself ? I need to know which one of their MANY protectors is perfect for a Leica D-Lux 5. There are several that appear to be acceptable. I have to say the GGS line does look quite aesthetically pleasing and remains quite a low profile. Looks really nice, might consider getting one for my 50D now. 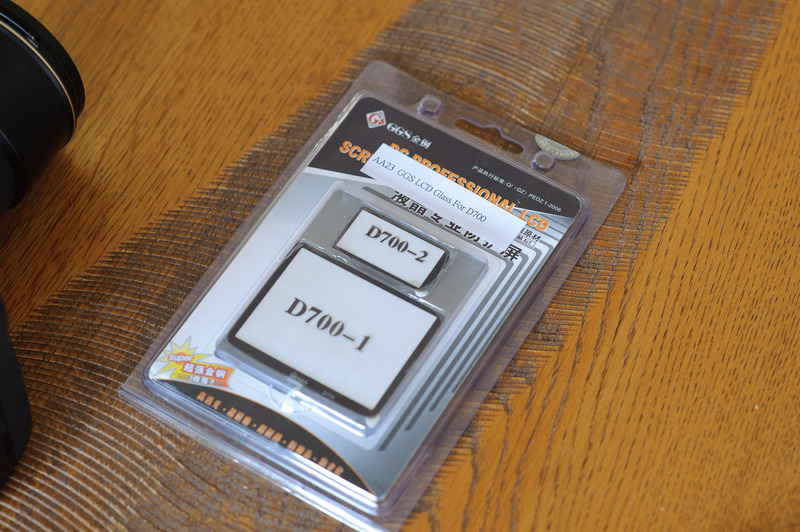 Did you end up getting one of these for your D4?